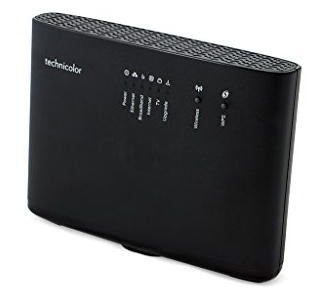 Some of our ADSL broadband packages include a Technicolor TG588v router. 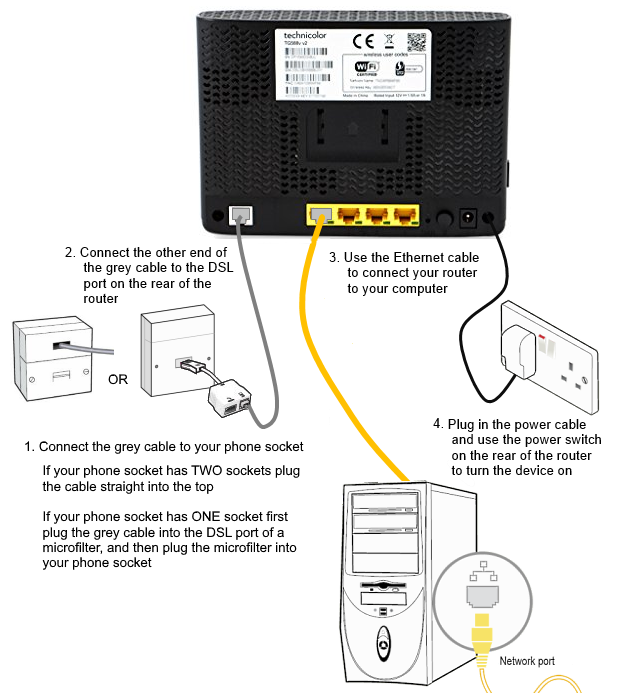 When purchased through Gradwell the router will automatically configure to use your account when you first plug it in. This article covers both initial setup and manual configuration if necessary. Connecting your Technicolor TG588v router is a simple process. Finally, plug your Technicolor TG588v router in to an electrical socket and press the black On switch on the rear of the unit. After around five to ten minutes your broadband connection will be ready to use - you should see a green Broadband and a green Internet light on the front of your router. If for any reason you need to configure your Technicolor TG588v manually, you can use the instructions below.